Cold and dry air, too little moisture - perfect conditions for scaly beards. What should you do? Bad Norwegian - New arrived, of course from Norway. Black, strong and as the packaging says: "Not for women"! The first time I packed my gym bag, I noticed what a lot of items I was having to cart about. Not only a change of underwear (very important!) but also shower gel and so on and since I have no desire to use mainstream products at home, nor do I like to take them to the studio. Designer Jo Zarth visited London for Heldenlounge. His interest was directed to the special historical features of our great British brands for men. Buy 1 of our Jack Black products and you'll get a comb for free for your perfect styling. You want to buy a MÜHLE shaving set, but you are not sure which set to choose? We help you! 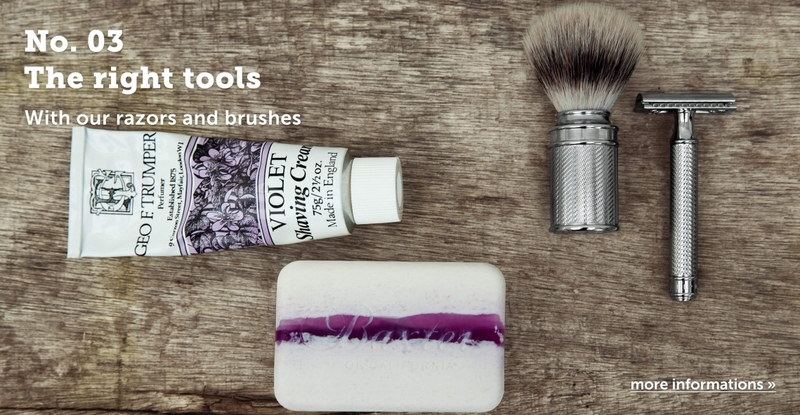 In 4 steps to the right shaving set from MÜHLE. Highly concentrated skincare for men. Ideal for sports and travelling. Easy to use pumping mechanism. Exclusive free gifts from Heldenlounge gentleman’s outfitters. We reward you for your purchase from Heldenlounge.de: find out which products are eligible and add them to your cart. Buy 1 of our 3 new Jack Black hair care products and you'll get a comb for free for your perfect styling. Find here several special offer products. Your path has led you to us and we hope that, henceforth, we will be your faithful companion for all your heroic quests. At the Heldenlounge, you will find care products for men that can't be found on the high street and are even hard to source online. We aren't interested in the mainstream. True individuality and quality count for everything. 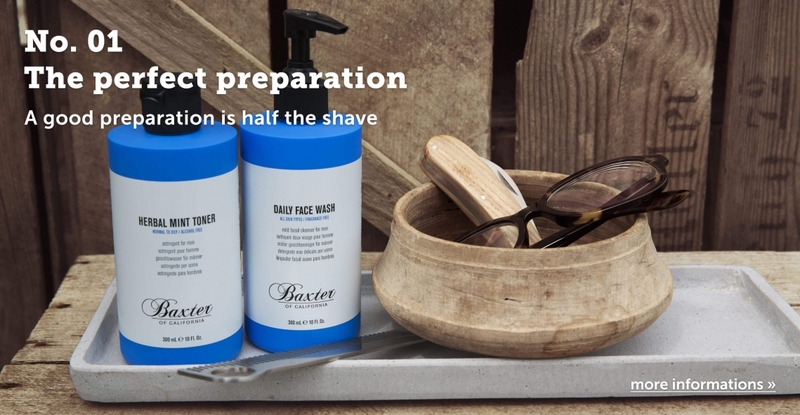 Our greatest passion is wet shaving so we can certainly provide you with all the products you need for a wet shave. We supply luxury badger hair shaving brushes, as well as those made with synthetic fibres, razors with Gillette® Mach3® and Gillette® Fusion ™ blade systems and, of course, traditional razors. Do you have a beard? If so, you may be interested in learning about our extensive range of beard products that will keep your beard in the fine condition it deserves - whether you have just grown a beard and have a terrible itch, or you already have a neat beard and just want to maintain it and keep it in shape. At our Heldenlounge, you will find exquisite beard oils, balms, and cleansers, and, of course, all the requisite tools for the job, such as beard brushes. As well as wet shaving products, Heldenlounge is the place to go for facial cleansers and moisturizers for men. Now there is no need to pinch your wife or girlfriend's creams and lotions! You will find specialized facial care products specifically for men, tailored to your skin type. We supply a fine selection of classic and exquisite men's fragrances. We are especially fond of the English classics, although we also love the scent of the 1000 & 1 Seife (soap), which is made in Berlin. You can choose from more than seventy brands sourced from the four corners of the world. 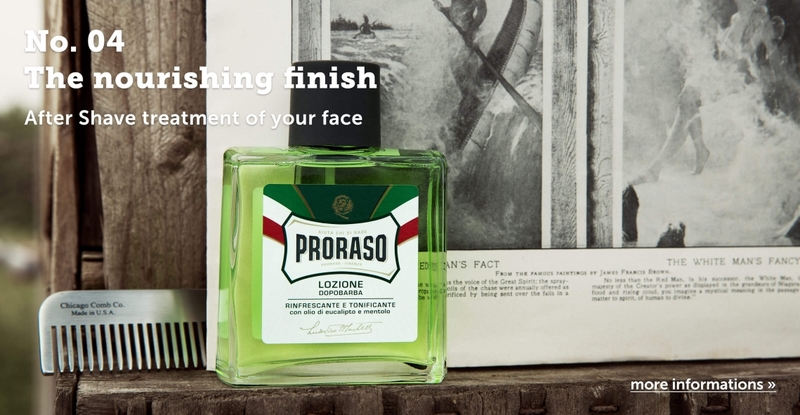 Some of our highly recommended brands include MILL, Baxter of California and Proraso. We also offer classic English shaving brands like D.R. Harris, Geo. F. Trumper and Taylor of Old Bond Street. We also offer a home to certain wild young brands like Bulldog, The Bluebeard's Revenge and Mr Natty. The Heldenlounge team is always happy to offer advice and assistance about the products you might need for your personal everyday male grooming. 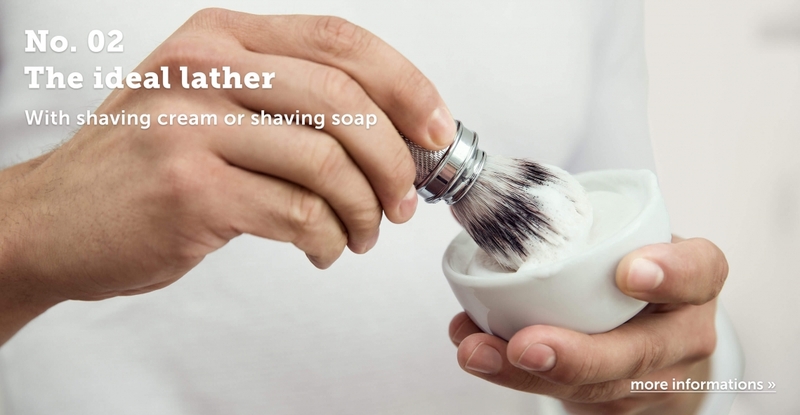 If you are new to the world of wet shaving, we can offer invaluable shaving tips, such as how to avoid the dreaded razor burn and ingrown hairs. Daring to step outside the mainstream can sometimes mean exploring uncharted territory. To make this process as easy as possible for you, we try to offer many samples of our brands, either completely free or at cost price. This means that you can easily test several products and find the one that's right for you. We hope we have thought of everything. If you know of a great brand that might suit us, please feel free to get in touch, or give us feedback on Facebook. You can obtain information about our latest products if you opt to receive our HeldenPost newsletter.